While installing an aircon in Singapore in the home or office one must focus on buying it from a reliable company. There two popular companies in Singapore with similar name- Mitsubishi Electric Air Conditioning and Mitsubishi Heavy Industries which offer air conditioners with the three diamond logo of Mitsubishi. In such condition it becomes confusing to an air conditioner in Singapore without knowing difference between these two companies. 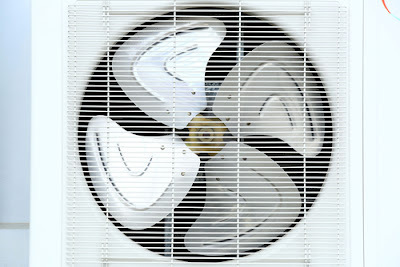 Brief information in this respect is provided here under to help you in buying the best aircon in this tropical country. Both of these companies are operating under the official logo of three diamonds of Mitsubishi but still they are rivals to each other. In fact Mitsubishi group of Industries allows independently operated Japanese companies to share the brand name of Mitsubishi as loose entity. These companies share the legal status, brand name and trademark of Mitsubishi even if they enjoy autonomous status. In this way Mitsubishi allows smaller and subsidiary companies to manage their business like a big business. Mitsubishi Heavy Industries is the largest ship and machinery building company of Japan along with a number of other industrial items. The operation of Mitsubishi Heavy Industries or MHI under the banner of Mitsubishi continues in 11 important sectors through about its 150 subsidiaries. 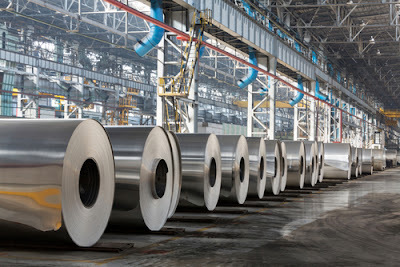 It deals in making Air-Conditioning and Refrigeration Systems, Shipbuilding, General Machinery and Components, Nuclear Energy Systems, Steel Structures and Construction, Paper and Printing Machinery, Machine Tools, Machinery and Plants, Aerospace Systems, Industrial Machinery and Power Systems. It also produces everything from oil tankers to cruise ships, newsprint machines, construction machinery, airplanes, turbines, gear cutting machines and gasoline engines. On the other hand Mitsubishi Electric Air Conditioning Company deals only in making air conditioners and refrigeration systems. Though the quality of the products of both of these companies is the best in the market but still Mitsubishi Heavy Industry is considered better in Singapore while purchasing an aircon. While choosing the best service provider company for purchasing and servicing your aircon in Singapore, along with comparing between Mitsubishi Heavy Industries and Mitsubishi Electric Air Conditioner Company, you should also focus on the tips provided in this write-up. Provision of follow up services: The aircon company you choose in Singapore for purchasing air conditioner at your home of office must be able to provide follow up services like installation, repair and replacement services every time. It must honour and maintain relationship with its customers. It must enter into contract with its customers to bind it for taking responsibility of the services provided by it. In this way you will get a company which knows the kind of services provided by it with full responsibility without compromising with its quality. Moreover only a reputed aircon service provider can provide the best follow up services at reasonable cost without taking advantage of its popularity. Insured company: The aircon company you choose in Singapore to buy an air conditioner should be insured as per the rules of Singapore government. The rule of insurance is designed to protect the citizens if any wrong thing happens while installing or repairing air conditioner. Thus deal with an insured company will provide you peace of mind. Licensed and certified to provide services: The aircon company you choose for buying and servicing your air conditioning and refrigeration system should have necessary documents showing its validity and qualification to provide services. It must be certified and licensed by the competent Singaporean authorities to provide standard installation, repair and replacement services to its customers in Singapore. Instead of relying on advertisements you should verify these documents yourself before buying their services by interviewing them personally to ensure about reliability and quality of their services. Provision of referrals: The company you choose in Singapore should be willing to provide you referrals so that you can rely on the quality of their services after checking it with their previous customers. Such company can be more reliable as compared to those which only talk in this regard. Response time: It is also important to know about the response time of the aircon company you have contracted with in Singapore for repairing and servicing your air conditioning and refrigeration systems. Any delay in this regard can increase your cost as well as affect the safety and production of your machine. The company you have selected must be available 24/7 to respond you as soon as possible when required as your machine can stop working anytime without any prior information. Reputation of the company: you must also know the views f other people about the aircon company you have selected in Singapore to install and service air conditioning and refrigeration system at your home or office. Some of the service providers are not reliable even if they provide better services than others due to various reasons. So you should hire one whose previous clients give positive feedback for it. Only a reputed company can give safe and guaranteed services to your satisfaction. Equipped with essential and upgraded tools: You must ensure that the technicians entering your premises to service your aircon are equipped with proper and latest tools required for this purpose. If they are well dressed and equipped with necessary tools then it shows that they are ready to provide services as per your requirements. You can also check the documents of the service providing technician to ensure their genuineness as any fake person can harmful for you and your system if you allow them to enter without checking their identity. Thus you can find a reliable aircon service provider in Singapore if it fits to the standards set by you. Though there is no hard and fast rule in this regard but still you can choose a good and reliable company by spending some time for searching around agencies available in Singapore. Along with comparing their prices and competency you should also check their credentials to be sure about the quality of their services.